This week the fishing was a bit slow. 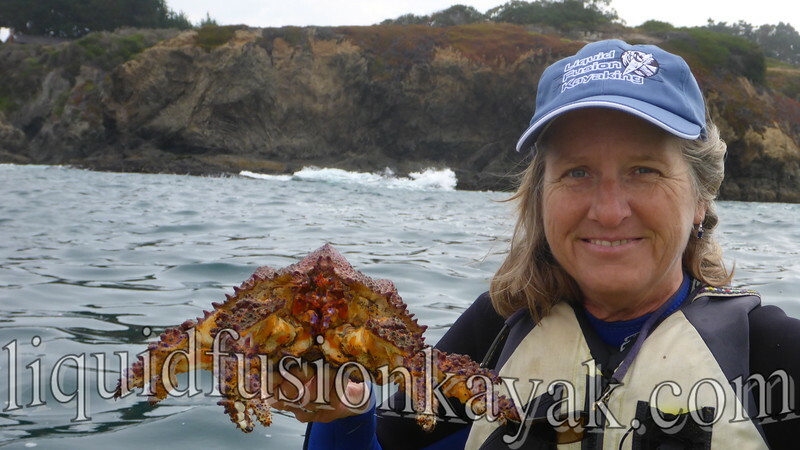 My goal was a Mendocino Kayak Fishing Trifecta - abalone, dungeness crabs, and rock cod. The bite was really slow and I didn't catch any fish this week. I was successful in getting 3 abalone (on Tuesday before the season closed for the month of July) and getting dungeness crabs. But this week's catch wasn't so much about the food as it was the beauty and wonder of the sea. 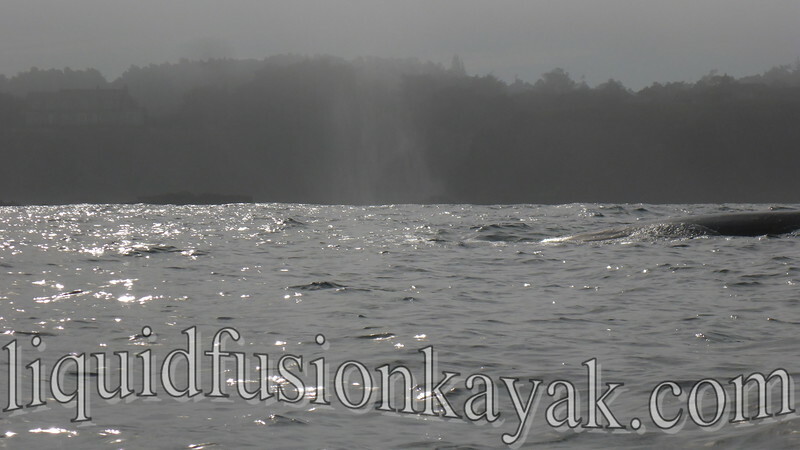 On Friday, my friend and I were fishing in our kayaks along the coast on the outside of a large rocky reef. The mulitlayered sky was breathtakingly beautiful and the early morning water was like glass. We jigged in awe and wonder as the glassy swells rolled beneath our boats and the sunshine streamed through the layers of clouds. Several large flocks of brown pelicans skimmed by us. The bite was slow, but we contently fished and immersed ourselves in the beauty around us. The fog began to roll in and then there was a large but gentle whooooosh . 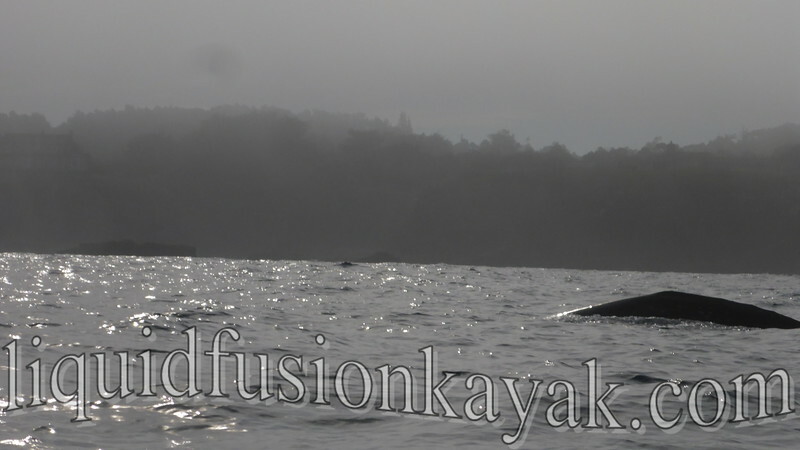 . . about 40 feet from us a cloud of water vapor spouted up from the water followed by a dark arching back. As gracefully as it appeared, it slipped beneath the water again. Moments later, whooosh it it spouted and appeared again right in front of us and then again as it made its way along the rocks heading north. It made our morning seem even more divine. Then our morning got more interesting. The bite continued to be slow and my friend landed a nice lingcod but my stringer was empty. We decided to call it a day and pull the crab pots and head in. One the crab pots held a surprise. We had some dungeness crabs but also the gnarliest looking crab we had ever seen. 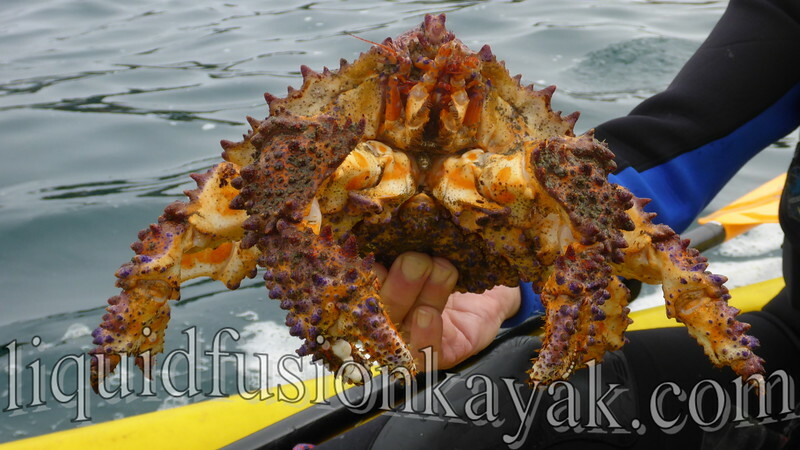 So far my research indicates that it is a type of box crab known as a Puget Sound King Crab. 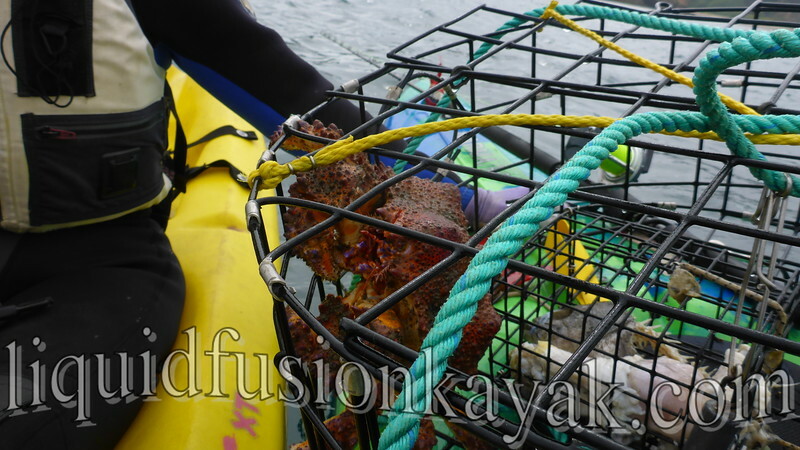 They are not common and extremely uncommon to get in a crab pot. What a treat to get to see. We took some photos and returned it to the sea. Gail poses with our interesting catch. What a cool day to be out on the sea - Maybe not the best for feeding the body but definitely lots of food for the soul.